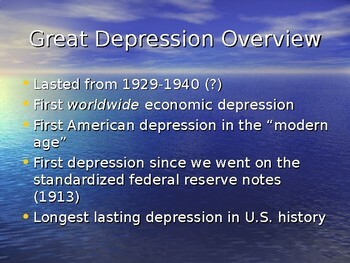 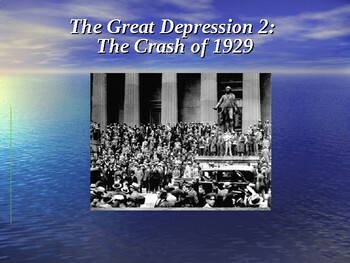 In this second presentation in my Great Depression series, students learn about the economic situation after World War I and how the economy of the 1920's staggered towards the Crash of 1929. 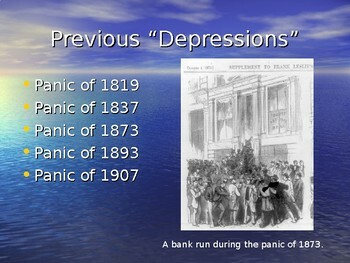 The specifics of the Crash itself are also covered in detail. 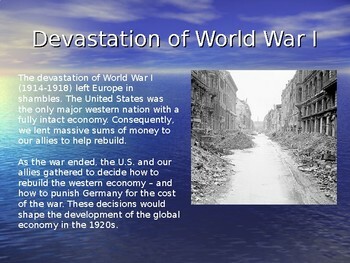 The is part two of a four part series.